The Shoreline Review is a new literary journal that provides a digital space specifically for South Asian poets to be read and recognized for their unique contributions to the realm of poetry. TSR is edited by Sreshtha Sen and Shyamolie Singh, two poets who are from India. All the poetry in TSR is in English, some appearing to be written originally in English while others have been translated from their original language. Some poets are living in their home countries, while others are living abroad, mostly in the United States. TSR’s inaugural issue, which was published in January 2018, presents poems by ten poets whose voices vary as much as their roots. The contributors in this issue are both emerging and seasoned poets, with a good amount of editors and professors in the mix. The issue also contains interviews with two poets, one being Fatimah Asghar, whose poetry collection "If They Come for Us" was recently published by Random House. Because most of the bios don’t explicitly state where the poets are from, it’s unclear how many South Asian nationalities are represented in this first issue, and in the editor’s note Sen acknowledges that South Asian is a broad term that isn’t represented by any one place. And she notes that though South Asian poetry is flourishing, it’s still underrepresented in "mainstream literary communities.” Poems are free verse and touch upon all different themes, from love to political tension. The poems in TSR’s inaugural issue are delicate, bold, and infused with rich imagery that transports the reader to other places and other lives. Reading TSR may require a little extra attention, as readers may need to search for word translations and cultural explanations to follow some of the poems. For example, “Junglee” by Rajiv Mohabir makes references to a handful of Indian movies and actors which will make some readers smile knowingly and others Google furiously. Though some readers may miss nuances and context here and there, many themes addressed in the poems are universal. For example, in “The Calamity,” Asad Alvi writes of the first day he kissed another man. His powerful imagery shows the upheaval caused by this simple, yet earth-shattering act: “from the holy books, the verses went missing” and “the mountains were loosened like wool.” No matter where you live, coming out can feel like the world is coming undone. Alvi is one of a handful of LGBTQ writers included in their issue, as TSR does a great job of including the marginalized within the marginalized. TSR doesn’t shy away from political poems. Ather Zia, founder of the online journal Kashmir Lit, writes of the volatile conditions in Kashmir in her “Partition Poems.” Her lines are chilling, especially when she describes the region as a slaughterhouse of “Kashmiri bodies hung / on hooks blinded eyes, / tender tongued radical / meat branded Azadi / is the venison of nations / hungry.” Poetry is a form of protest, and Zia’s poems give a first-hand account to a terrible, complicated situation many readers may not be fully aware of, but should be. The beauty of Zia’s writing juxtaposes the horror of the violence in her homeland. No matter where we are from or what we believe, we all bleed the same color. Submissions of poetry to TSR are free, rolling, and open to poets who identify as South Asian. Submitters can email up to four poems at a time of any length. Simultaneous submissions are accepted. The editors provide feedback for all poems, which is a nice perk for those who aren’t selected for publication. 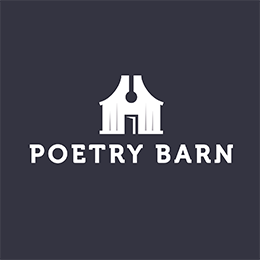 They also accept prose submissions of interviews, critiques, reviews, and essays that explore poetry, a set of poems or poet, and anything to do specifically with South Asian poets and their poetry. Though you may not be able to submit your poetry to The Shoreline Review, it’s an important and enjoyable journal to read in order to taste s of writing you may not be able to find in the usual literary places. No doubt readers will anxiously await future issues of this ambitious journal.